Five years ago I became my granddaughter Maggie’s aid at school. 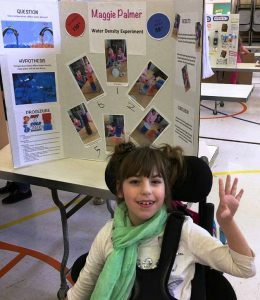 Maggie has severe Cerebral Palsy. 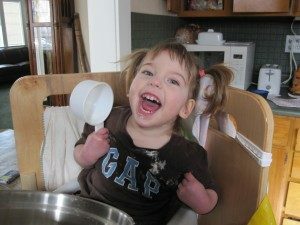 She is non-verbal, can’t walk, has to be fed and changed, and has minimal control of her hands and arms. But she is so bright. I went to school with her to help her brilliance shine. I held her hand while she wrote. I put math on a white board so she could write an answer. I moved her from one place to another so she could participate in all that went on in school. I showed the other children how they could talk to Maggie and be her friend. I showed adults how to interact and how to be absolutely amazed at her remarkable spirit. I advocated for Maggie. It was a gift to me. But then I would recall the words of a wise woman, Maggie’s mother, and I would smile and help one more person understand how to be a friend to the most joyous person I know, Maggie Palmer. Maggie is now twelve years old but the words of her mother, a We Sherpa, are as true now as there were five years ago when I was Maggie’s aid at school. Hi. I’m Maggie’s mom. 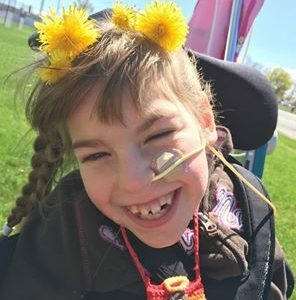 Maggie is 7 and has severe cerebral palsy. Last year I had a first hurt. 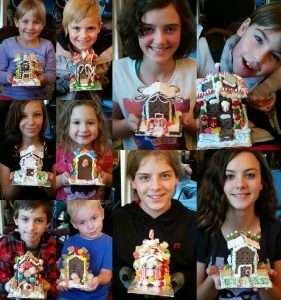 I found a picture on Facebook of all Maggie’s friends at a birthday party she hadn’t been invited to. Cry! 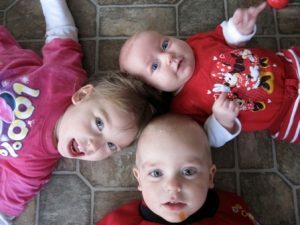 As parents with special needs kids we come to these new layers of grieving over and over again, don’t we? 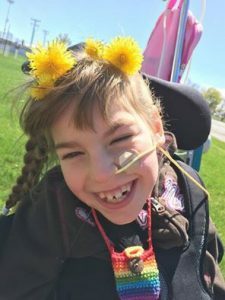 Sometimes the depth of my grief over what seems to be a pebble in “the road of life with a special needs child” surprises me. How could stepping on such a little thing hurt so badly? I shake my head in wonder as the tears flow. Just the other day one of Maggie’s little next-door friends said to me, in her frustration of not being able to play with Maggie in ways that she wanted to, “I wish Maggie didn’t have cerebral palsy.” Her comment sucked the air out of my lungs, and I was speechless. What should I think about this, about her? I didn’t know. We’ve always homeschooled Maggie. Next week she’ll be going to public school for the first time in her life. In fact, she’ll go to a school that has never had a child with her sort of disability. I’m expecting that we’ll be stepping on lots of those painful little pebbles at this section of our journey. Maybe there will be some rocks I crack my shins against or a boulder that crushes me. For this reason, I’ve been considering this strange land we all have to tread when the “typical” and the “special” intersect. As we prepare to enter this place of intersection in earnest, I’ve come to the conclusion that Maggie and I are going to be We Sherpa‘s. What’s a We Sherpa, you ask? A Sherpa has come to be known as someone who guides another along a challenging journey. A Sherpa takes upon themselves the heaviest burdens of the expedition. 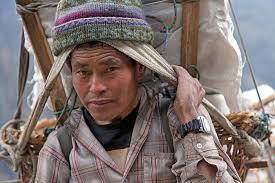 A Sherpa understands their traveling companion may be inexperienced, awkward, and fearful as they walk through territory that is not their native country, and they are patient with that. The “We” part of the equation is a conscious decision about how we are going to walk in this world. A world of only “us” (those who get it) and “them,” (those who don’t) is really only a world of ME. The “We” means we’re going to leave the path of ME, and walk the path of WE. When it comes to people’s insensitivities or ignorance about our special kids, here’s why choosing to be a We Sherpa matters so much. If we want inclusion and compassion for our children, we have to be willing to pick up the other end of that stick. When someone speaks insensitively or ignorantly, when they stare, when they don’t include, or worse, exclude, the We Sherpa simply sees them as a traveler who needs a guide to help them walk this uncharted territory. The We Sherpa bears the larger burden of reaching out, of inviting, of educating, of creating opportunity, of giving the benefit of the doubt, and of forgiving. The We Sherpa puts an arm around their shoulder and invites them onto the path. They may decline. There will be the inevitable stepping on toes as we learn to walk together. We Sherpa’s accept that. I’ll keep having these painful “firsts.” And, I’m learning to own my own grief. But, I’m going to choose to walk a path of WE. When someone clumsily stumbles into us with insensitivity or ignorance, Maggie and I are going to scoot over, invite them to walk with us, and help them over the rocky places of fear, awkwardness, and unfamiliarity. It’s true. We’re better, together. Blessings to all of us who tread this challenging path. May your grief be comforted, and the rocky way smoothed. I appreciate my daughter’s words of wisdom. They move me and I have been learning to We Sherpa right along with her and Maggie. It isn’t always easy but it is preferable to feeling like the world is “us” against “them.” If you know someone with a special needs child please share this article with them. If you know someone without a special needs child it might be even more important to share. It might help both along their own rocky path. Jodie is the mother of four children, ages 5, 8, 10, and 12. 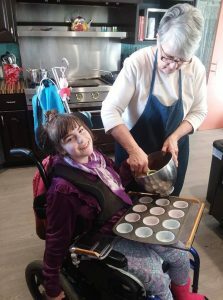 Her oldest daughter, Maggie, has severe cerebral palsy. Although her energies are focused on the busy season of raising a young family, she is also a writer, teacher, mentor, and coach. 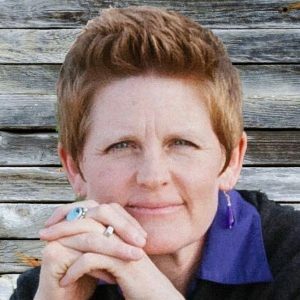 She has spent many years helping parents create their own unique vision, master plan and custom-made systems for the education of their family. She is also the past president of the Midwives College of Utah and currently serves as a member of their board of directors and a personal student mentor. Jodie’s secret wish is to ride cross-country on a motorcycle in black leather pants.